For Sale in Liverpool for Asking Price £173,500. 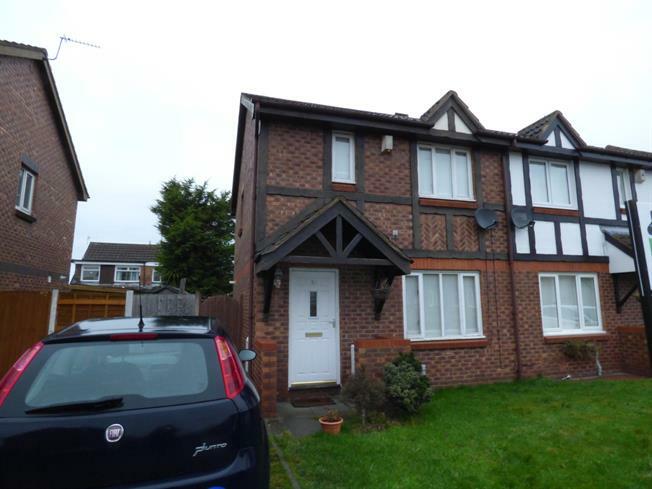 Entwistle Green are delighted to offer for sale this three bedroom semi-detached family home sold with no ongoing chain. The property briefly comprises; entrance vestibule, lounge, dining room, kitchen, first floor landing, three bedrooms, master en suite and a family bathroom. The property further benefits from driveway to front and rear lawned garden. Fitted wall and base units. Stainless steel sink and drainer. Space for fridge/freezer. Space and plumbing for washing machine. Double glazed timber frame window. Radiator. Panelled bath with shower attachment to taps. Low level wc. Wash basin. Driveway to front. Rear enclosed garden with laid laen.